Kennels can be very expensive and are not always the best solution for looking after your dog. We pride ourselves in giving your dog a home from home when you are away - a break which we are sure it will enjoy. Your dog will live in our house as one of the family in a warm and loving environment, will go on walkies with our dog, have the security of a fenced-in garden and be a friend for our dog and the other doggies staying with us. One of us is around the house all of the time and your dog will not be left alone in the house. 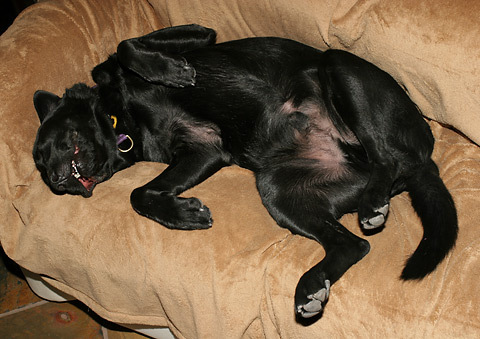 We cater for long or short breaks and if an emergency occurs at your home we would do our best to accommodate your dog. Check out our Facebook page for pictures and comments from previous boardees.